Mabel’s Corridor is a performance that explores the mind-maze of a dementia patient named Mabel. 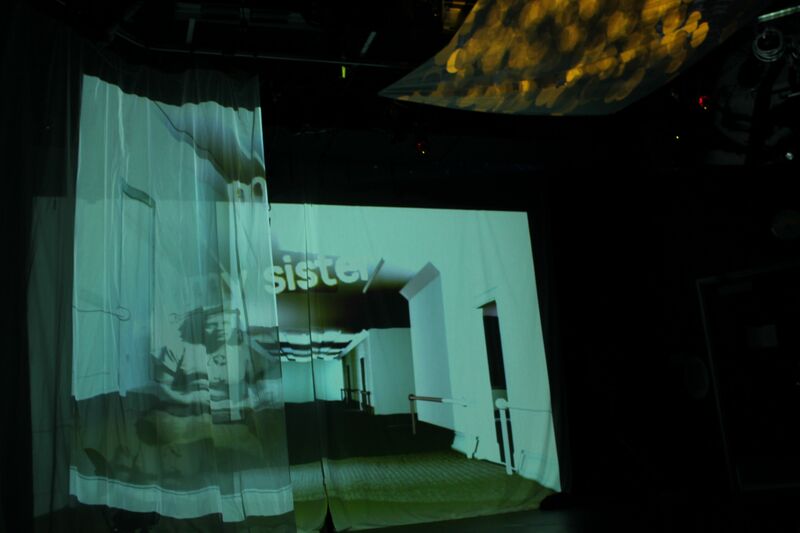 Her stories (both real and imaginary) are told through various mediums including contemporary dance, projection art, and 16mm film. The audience are observers of Mabel’s fragmented memories, and her distortion of time and place. Research for the piece involved interviewing someone suffering from dementia; the photographs, videos, and interview sound bites are based on her stories — some taken directly from her life. Mabel’s Corridor is an interactive performance that explores the mind-maze of a dementia patient named Mabel. We visit Mabel to hear her stories, both real and imaginary. Her stories traverse place and time, shifting from the present to the past. People remind her of other people and they blend together as she tells the stories. We explore the stories by following Mabel’s associations as she moves through her living space. The connections her mind makes shimmer, though some of the connections disappear if you focus on them too long. Stories are linked by key associations, and how we move through is dependent on Mabel. We can control where we go in her space and how quickly, but we cannot control how the stories unfold. 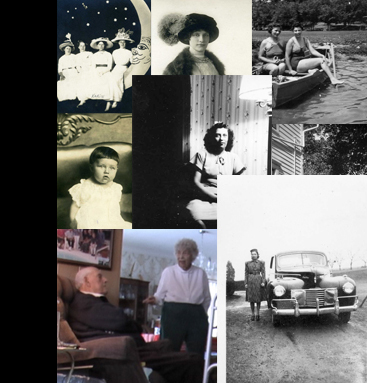 – We visit Mabel and explore her stories through various perspectives of memory, association and dementia. – We are using several ‘scenes’ that group different themes, times and places in a non-linear way.